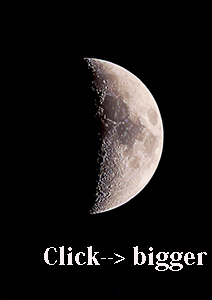 PENTAX 's all Telescopes are designed for both visual and imaging. However,except this 105SD, others are including flattener lens. It's for imaging. In the case of imaging, Flattener lens included better. The designer of PENTAX would think so. 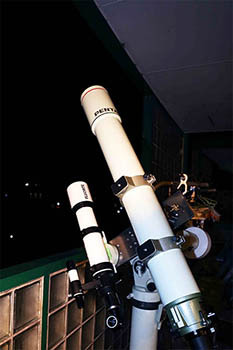 Also, PENTAX has established brand image ,like ( PENTAX Telescope is High-quality ,and has great structure) in Japan.. 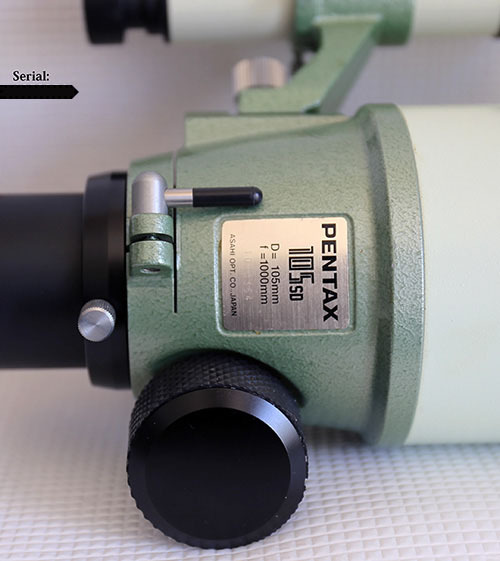 Yes, PENTAX 105SD's existence is really special among all PENTAX's scopes. having similar trend .. It is < Warm taste >. Here, I am not telling that ( color aberration, sharpness , others).... what I want to say is ( VANITY TASTE ) , . PENTAX 105SD's coating is SMC PENTAX . also, 105SD 's SMC PENTAX coating is done for all ( 4 aspects of objective lens). This picture of the Moon was taken by PENTAX 105SD, < I did the image processing to make this image similar to real view using 38mm eyepiece. I am sorry that my description about impression of PENTAX 105SD of the repetition. Then, why PENTAX all refractors have similar vanity taste? So, the reason we choose PENTAX is , I can't talk about the goodness of this PENTAX 105SD without this reason. I like PENTAX 105SD, so often I sell PENTAX 105SD. I think that there are a lot of people who love PENTAX telescopes in the world , and maybe they will know this deeply. I think when we talk about PENTAX refractors ( especially , this 105SD) , we can't talk about PENTAX 105SD without this discussion.